Cheers, bottoms up, prost, skál, or sláinte. Around the world, people have been enjoying a social tipple or two for millennia. From mulled wine or whisky to a refreshing pimms; from a pint of lager to a vodka and coke or a WKD – it tastes good and makes you feel great. Well, some of the time. But for the rest of the time, it makes you feel groggy, achy and grumpy. Hangovers aside, drinking alcohol can lead to fatigue, bad skin, depression, weight gain, poor sleep, liver damage, high blood pressure, mouth cancer… ok, ok, I’ll stop. You get it: it isn’t super healthy. So for two months, try cutting down on your booze. Simple. As we said, drinking too much alcohol can lead to a whole swathe of health problems – both short and long term. We'll spare you the details, but the NHS gives a pretty thorough run down here. What's more, turning up to work hangover-free more often will improve your productivity and might well increase your chance of a promotion or a bonus. Double win. Ok, so alcohol isn't exactly the biggest of environmental sins, but as with any product, it does leave a footprint on our planet, albeit a small one. You might not have considered the possibility of pesticides in your alcohol. Unfortunately, due to a pesky leafhopper (a tiny insect that spreads disease), France is the third-highest user of pesticides in the world (and the highest user in Europe), applying a whopping 110,000 metric tons of pesticides per year.4 Even some organic wines tested positive for them. In September 2017, an historic agreement was signed by UN member nations agreeing to work towards 17 Global Goals for Sustainable Development by 2030, otherwise known as the SDGs. Here at DoNation, we love small, lasting changes. Instead of going cold turkey for a month (or until you can't take it anymore), why not just cut back for a while - perhaps drinking just one or two nights a week. After two months, you might well find you’ve formed a habit that sticks. Stay away from the triggers - Whether it’s the pub or a work do, unless you have super strong willpower, it’s probably best to avoid temptation for a while. Do something new to fill the time - Reducing drinking time (and the inevitable hangover slump) will create lots of free time in your schedule. So make sure to fill it with good stuff, like learning a new skill, joining a book club, or taking up a sport. You could even rope in your drinking buddies or meet some new interesting friends. Find an alternative non-alcoholic tipple - With demand for non-alcoholic drinks on the rise, there are LOTS of exciting options these days. Or you could always stick to good ol’ lime and soda, You could also alternate alcoholic and non-alcoholic drinks if you just want to cut down a bit. And when you are drinking, think about buying local where possible, and cutting down on the packaging. Check out EeBria for British-brewed beers, ciders, wines and gins. Or try Toast Ale, which brews their beverages using fresh bread that would otherwise go to waste. 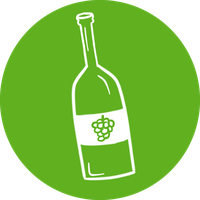 Finally, more and more places now offer refillable wine bottles - like Borough Wines for London dwellers. Cheers! I found the challenge really helpful to reduce my alcohol consumption, resulting in feeling better and spending less. A win win all round. Definitely managed to cut down on my alcohol consumption, especially at the start of my pledge! Kind of fell off the wagon towards the end of the 2months... I blame the lovely weather we've been having! Must try harder! It was dissertation time. I needed a drink. I am stone cold sober at the time of writing this, which is impressive! While Christmas was tough I did drop my booze intake - and had a completely dry January. Feeling much healthier for it too! I reduced my wine intake but still have more work to do! I'll try and do a wine-free fortnight before Christmas. Had a completely Dry month of October, and half dry November. December... is looking a wee bit more tricky though! 2 extra glasses in last week when a family get-together. I will continue to keep to 1 unit/week. I have cut down on my bottles lot. More so, since I've been studying for exams, I rarely go out partying with friends where I would most likely be tempted to drink and besides, I just take water most of the time I go out for dinner with friends. Although there were few times I found it difficult to sleep, and I just take a glass of wine to help me with that. Successful in most weeks, some weeks have slipped due to multiple birthdays, events etc. but in the case of social events I ensure that I don't over do it the rest of the week. Vastly reduced drinking at home and feel much better for it. I definitely cut down during the campaign, with less drinks during the week. Some weeks I was an angle, others not so much.... I also think I underestimated how much I typically drink! Cut back on a number of drinks in the week and had a couple of dry weekends. I also had a couple of big weekends but they don't count do they?